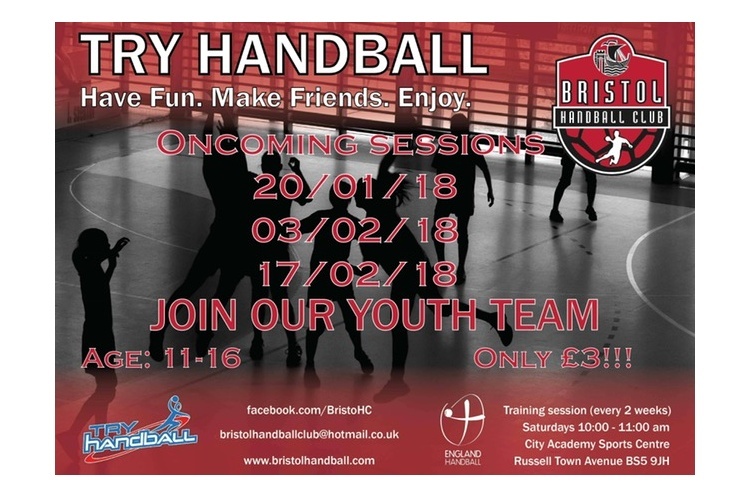 Bristol Handball club has announced sessions for 11-16 year-olds who want to try the sport. The first session is on Saturday 20 January from 10.00-12.00, and takes place at City Academy Sports Centre, Russell Town Avenue, BS5 9JH. There are further sessions on 3 February and 17 February at the same times and venue. Why not go along and check out the most exciting, high scoring, action packed team sport.